Welcome to a new month. It's starting to feel as though summer is over, did we actually have one, and the nights are starting to pull in slightly. A new month means a new Challenge YOUrselfchallenge. 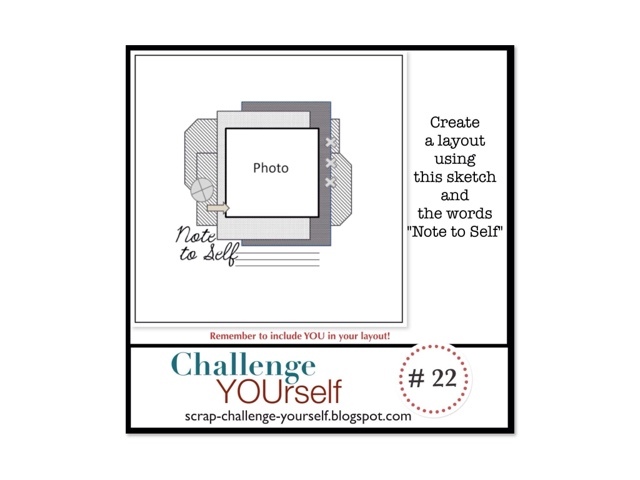 This month the challenge is to use this sketch and the words "Note to Self"
This photo was taken after taking the obligitary self in front of the Santa Pod sign as I was putting my phone back in my pocket. The title made me think of adding notes to a memo board so I used a cork effect paper from Crate Paper Journey for my background. As my photo was black & white I went mad with my colours picking papers from my scraps pile. I love these gold Thickers from Dear Lizzy, they look as though they should be chipboard but as they are foam they are so easy to add to layouts! 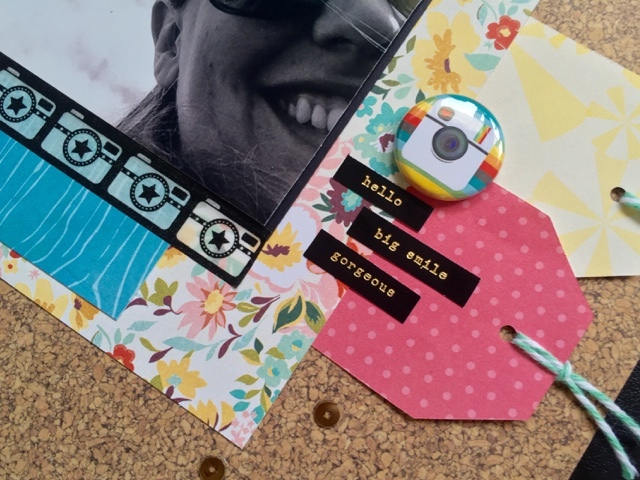 I added a couple of camera and photo themed embellishments and my favourite Crate Paper phrase stickers to finish off. 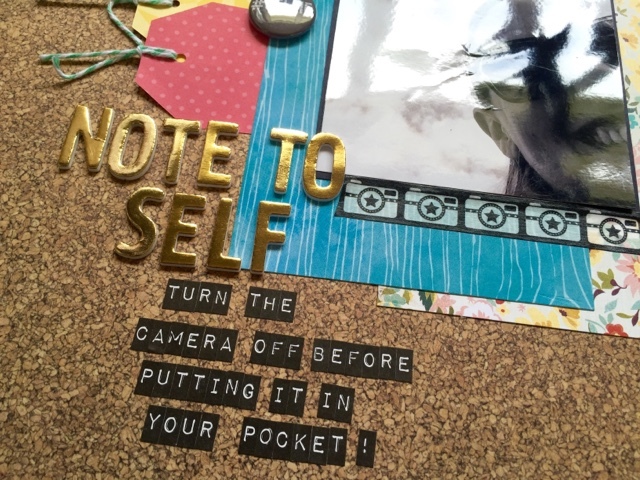 So what is your note to self? 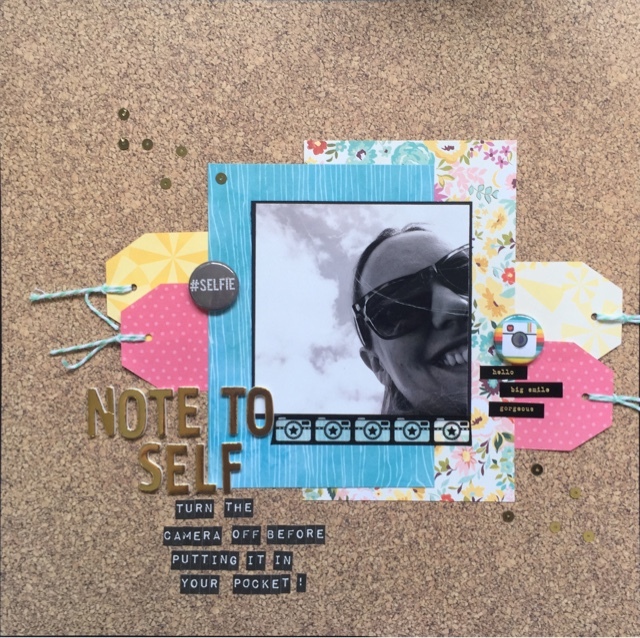 Pop over to the Challenge YOUrself blog to join in with the challenge and check out the rest of the DT's layouts. Jess, your layout is so much fun! I absolutely LOVE it!!! What a creative take on the sketch and theme! Great layout, I LOVE that flair and washi! Great page Jess. I love that little strip of cameras. Is it washi tape? I love that little strip of cameras too! I'm going to have to treat myself to some of those little word stickers soon! Such a fab page Jess!